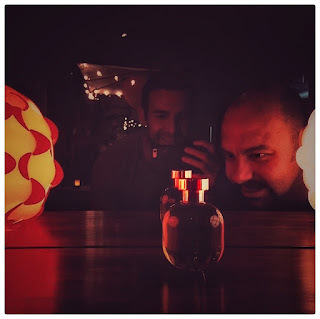 As I was writing my recently posted two-part piece on the Arquiste collection I wondered what would come next from the prodigiously talented triumvirate of Carlos Huber, Rodrigo Flores-Roux and Yann Vasnier. Then, part way through my extensive note making and sampling, the lovely Ruth at Bloom Perfumery (now sadly moved on…) sent me a sample of a new Arquiste perfume that Carlos has shown the Bloom team at a floral themed Arquiste event earlier in the year. The sample was Nanban. It was astonishing. At the time, I had no notes to go with it so I wore it blind, free from trying to locate specific effects and notes in the mix. I set it aside and waited until I was really ready to do it justice. I had been struggling with a weird dose of asnomia from a viral infection and just wasn’t sure if I wasn’t smelling things correctly or even at all to be honest. I had a surreal moment sampling gardenia perfumes and had to stop. I just couldn’t tell if I perceived olfactory inflections of gardenia or just inhaling my own memory paintings of the bloom. It was both harrowing and immensely unsettling. After a month or so, my olfactory senses rebalanced. I reached a point of equilibrium; a necessary if rather nasty regimen of meds seemed to unlock the grace and recognition of my aromatic abilities. As I so often do, I wore Nanban to bed. The weather was close, I always sleep with notebooks by my bed in case I need to write things down, it’s a hangover from teenage dream journals. I knew Nanban was different as soon it curled like careful bonfire over skin. Nanban is invasively atmospheric, I felt cradled, kept. I knew as I drifted off into turbulent sleep I was sensing distant leather and myrrh. I could feel the bushfire of cade and something muted and drifting. I later found out this was a black tea accord. I noted down it smelled of ‘swollen wood & dank saddle’ and that the final stages had a ‘powerful evocation of altars and sacrificial spaces’. I scribbled ‘sweetness??? ?’ across a page, unable to pinpoint the exact effect. Not vanilla absolute or dried fruit but something darker. Coffee absolute I realised when I received my notes from Carlos, a subtle, swirling application of roasted shadow rather than out and out sugar. I think Nanban will thrill and dazzle Arquiste fans; it retains all the sophisticated storytelling hallmarks of Carlos & Co.’s vibrant work, but this new perfume I think has a deeper resonance and marks perhaps a weightier step forward in terms of style and effect. It feels different, more profound, haunted with research and attention to detail. 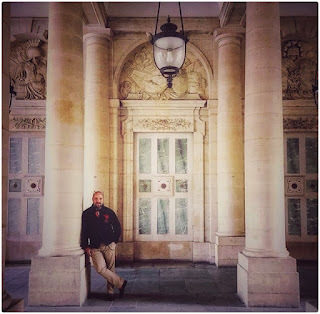 I found myself lost in the woody gourmand beauty and the secretive spaces in between the notes where the effects transition and glide, creating a near seamless sense of cultural biography and applied technical olfaction. 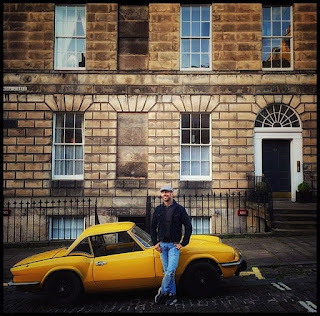 There was a strange coincidence as I prepared to publish my Arquiste piece, Carlos Huber very spookily happened to be in Edinburgh on holiday. It kinda threw me, seeing his Instagram pics of my haunted, lovely city, his choice of buildings and handsome visage in places I knew like the back of my hand. We contacted each other and he said he’d pop by my store and say hello. Meeting Carlos was a pleasure, he is a gentleman and gentle soul, wickedly handsome of course, but more than that, genuinely kind and charismatic. He exudes passion and integrity for his wonderful brand but also he has a sincerity and old-fashioned boyish charm that I feel makes him irresistible to anyone who meets him. There is fierce intelligence in his beauty though; Carlos takes his research and olfactory development very seriously. His years of architectural training and passion for restoration and historical detailing have informed his olfactive desires and inquisitive nature with originality and polished exploration. 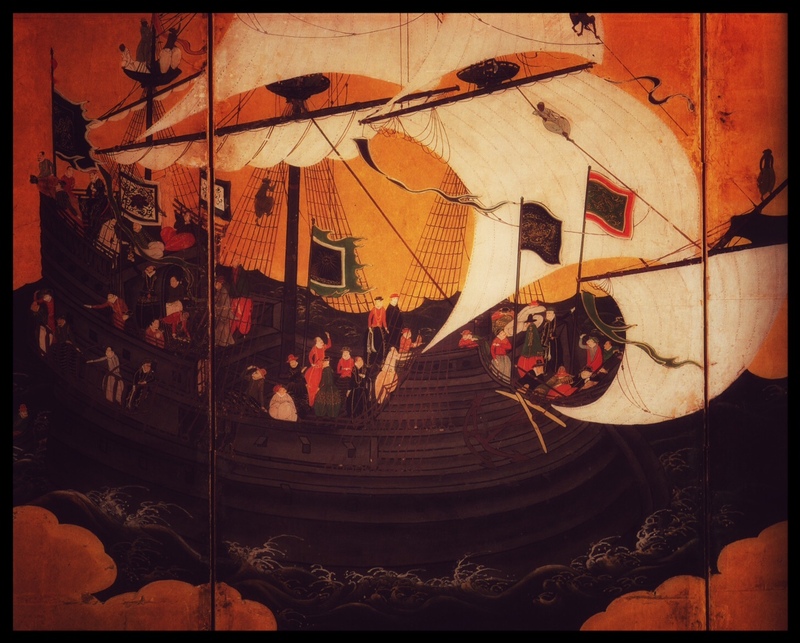 Nanban has a compelling, vibrant narrative, inspired by a singular expedition undertaken between 1613 and 1620 by a retainer of the Tokugawa Shogunate called Hasekura Tsunenaga. He travelled with an embassy of 180 companions to visit Pope Paul V in the Vatican, stopping off to discuss potential trade possibilities with the Royal Court in Spain. But most importantly for Carlos and the creation of Nanban, the delegation visited Mexico in Nueva España on its momentous voyage, arriving at Acapulco, travelling overland and departing from Veracruz. 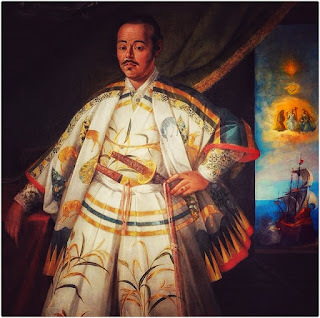 On the return leg from Europe the diplomatic delegation departed from Veracruz to Manila in the Philippines where Tsunenaga and his men spent two years before retuning to Japan. This mission voyage became known as the Keichō Embassy. The word nanban literally translates as southern barbarian and was originally used to describe foreigners arriving from the southern seas into Japan. The word became particularly associated with the increasing and influential influx of Portuguese and Spanish traders and religious missions in the mid 1500s. I first came across the term during a fine art stint back at the National Museums of Scotland in the Department of History and Applied Art, now sadly dissolved into something more PC and dull. I worked as an assistant Curator with the Chinese, Japanese and Korean collections and to help boost my knowledge, I would come in early and spend time either wandering the display cases or go deep into the cellars excavating the collections not on display. Cupboards and drawers loaded with jades, porcelain, metalwork, costume, textiles, armour and religious regalia. This kind of immersion was the only way to soak up the vibrations of such magical gathered objects. 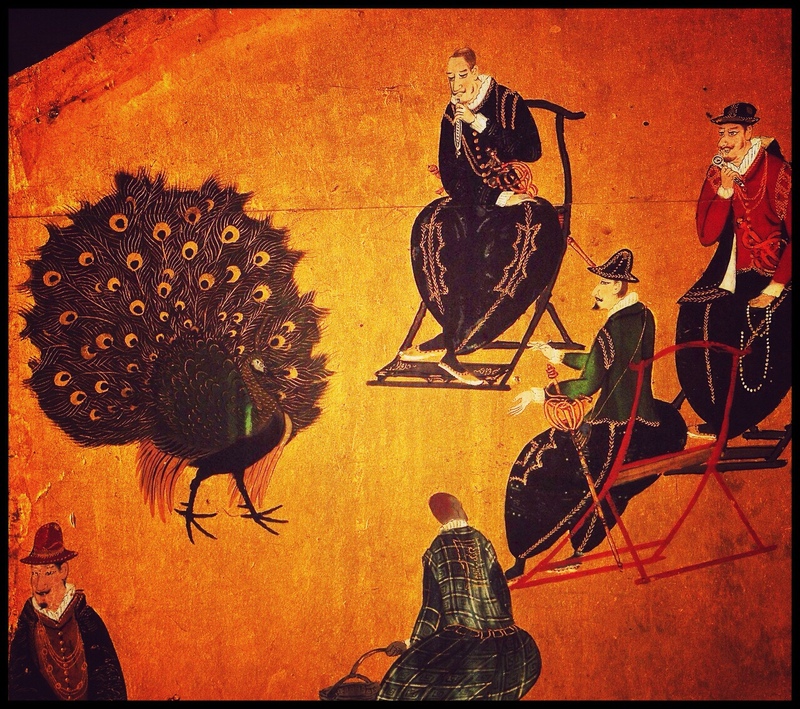 Nanban has evolved into a term used to describe a particular style of 16th and 17th Japanese art that has western influences, introducing shadows, perspective and western subject matter; armour, weapons, dress hunting and trade scenes. The folding screen was a particularly favourite medium for this style of art. 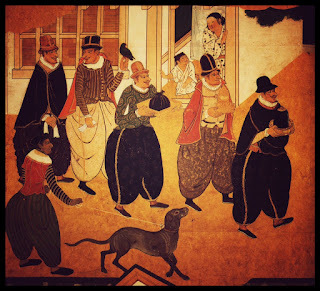 Not much Nanban work has survived; it was a relatively short-lived movement if it can even be referred to as that and a lot of the art was supressed afterwards over fears about the rise of Catholicism and the westernisation of Japanese culture. Date Masumune, of the Tokugawa Shogunate, 1st Lord and Daimyo of the Sendai Domain was in office from 1600-1636, a charismatic and powerful leader, he was missing an eye and known as the One-Eyed Dragon. Renowned for his wearing of the traditional crescent moon style helmet, Date Masamune decided to back and fund this unprecedented expedition to the new world, sending one of his loyal retainers Hasekura Tsunenaga and a collection of like-minded followers to Europe. 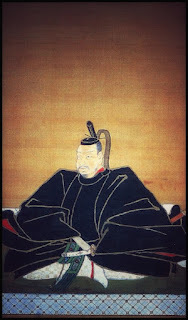 The Tokugawa Shogunate was the last feudal military government in Japan, ruling from 1603 to 1868, all members of the ruling class were part of the powerful Tokugawa clan. In 1613 Masamune had interceded on behalf of a Catholic missionary named Father Sotelo who had been condemned to death for preaching Christianity. He was released into the protection of Masumune and it was the relationship between the two men and the Lord’s growing interest in Christian teachings that led to him supporting the complex, historical mission to Europe. 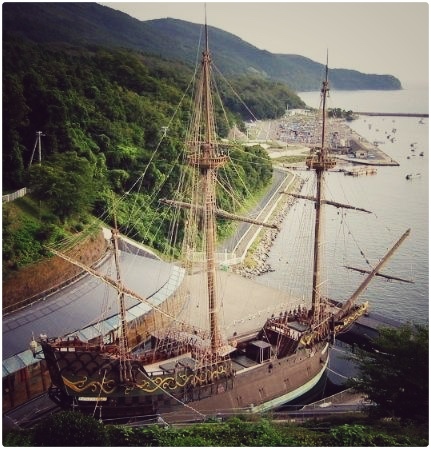 The black-hulled 500-ton galleon, San Juan Bautista, built by Japanese craftsmen to European specifications set sail from Japan in October 1613. There is a replica of the ship in Ishinomaki in Miyagi Prefecture. It is important to emphasise just how significant this mission was in terms of cultural curiosity. After this brief period of interest in the outside world, Japan effectively shut down her borders to all incomers, fostering an intense mistrust of any external interference. Much of this was fuelled by a deep-rooted dislike of the reach and perceived fanaticism of the Catholic Church. It wasn’t really again until the 19th century that Japan started to drop the opaque veil of secrecy, obfuscation and misinformation that had built up over the years. However the galleon set sail, swollen with hope and anticipation, the assembly of men aboard, more than aware I would imagine of the import of their journey and the stories and cargoes they might return with. Their dreams impregnated with fantastical imaginings of what would come tinged with apprehension, pride and sadness at leaving friends, loved ones and a homeland behind. Carlos and Rodrigo have set a seriously redolent and beguiling scene for their followers with Nanban, this image of the dark-hulled mysterious galleon setting sail to distant lands groaning with pioneers, ambassadors and gatherers. The thrill of acquisition must have been exquisite, collecting new spices, victuals, precious woods, stones and metals, bolts of cloth, resins and balms. And of course stories and experiences. Just reading the inspiration sets fire to the imagination, so many olfactive conceptions and abstractions thrown upon the fertile pyre. It is virtually impossible to wear the scent without this extraordinary story sailing through your mind. 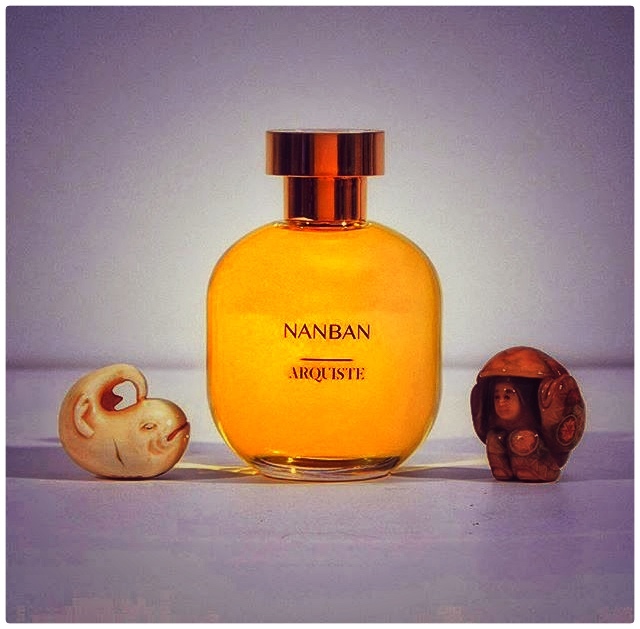 Nanban is a scent of revelations, notes within notes, effects seeping into accords, staining and influencing scented outcomes. The scent is a leathered cradle of olfaction, odours seeping into one another like tumbling, mingled cargoes. Smoked tea and peppered hide, saffron and coffee, rubbed resins roll on wood, weathered with salt and storm. It is a dark perfume, an odour of below decks, of pitching bundles, bound miasmic cargo gathered over seven careful years. I am struck initially by the sweet malevolence of cade, frankincense and disquieting myrrh; they sulk through the initial hit of bittersweet heat but then settle into the warm embracing hull of notes built to safeguard the other materials. The marriage of east and west, of spices and woods, smoke and mysterious shade develops with consummate diplomacy and balanced skill. 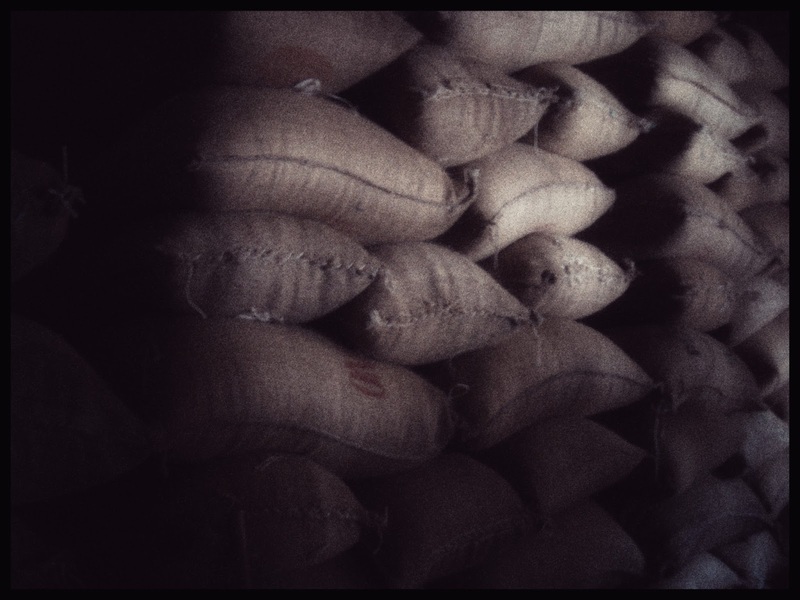 I loved the lingering, loitering singe of lightly toasted coffee and quiet smoked quality of the tea. The ingredients in Nanban have a preserved tenacious effect to them, an effect that transfers powerfully to skin. There is a tightness and control around the materials. Each note is self-aware but also synthesises, compliments and occasionally throws shade at fellow travelling accords and effects. The myrrh and Spanish-tinted leather roll back and forth across the composition in gleeful doses; sometimes rich and abrasive, other times soft and gentle like the touch of a gloved hand. Nanban is moody and persuasive, an august study of elegant and covetable influences. It is interesting for a perfume about sea voyages that Nanban has no olfactory reference to the ocean, no salinity, ozonic or aquatic overlays. No hint of tempest, ocean spray or sea breeze in its alchemical assembly. The normal associative limpid, cool inhalation of ozonic scents has been slowly re-emerging from the looming monolithic shadow cast by the megabucks progenitors of the trend such as Issey Miyake, Davidoff’s Cool Water, Armani’s Aqua di Gio and CK1. Niche artists such as Pierre Guillaume, Josh Meyer and Gabriella Chieffo have all created beautiful and inventive riffs on the ozonic theme. The aromachemistry of ozonics is now so complex and arguably so much more beautiful that the aquatic fragrances we are see being created now are vastly superior to the old style fuzzy ancestors, playing with manifold variations of water, liquids, air, fictions and textures. Luca Maffei’s recent Aquasala for Gabriella Chieffo is a gorgeous, slippery aquatic, rich with saline-drenched floral notes that seem to glow in the dark. It smells like rising dough, pollen and salted skin. A quite remarkable scent that grew on me considerably after initially finding it a tad underwhelming. I’m glad I persisted. More will come this this from the niche sector; it will be interesting to see how the stories unfold. In Pierre’s case, his entire Collection Croisière is influenced by water, holidays, voyages, movement and travel. 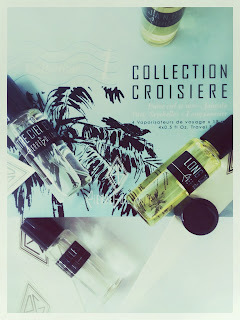 They are some of the most intriguing scents I have sampled in recent years. The pacific algae extraction he has used in Entre Ciel et Mer is ice cold and as blue as sapphire. Even the stalwart British house Penhaligon’s has just launched two aquatics, Blasted Heath and Blasted Bloom side by side, created by the father of CK1, Master Perfumer Alberto Morillas. They sit strangely at odds with the house’s rather chaotic fragrance collection yet somehow work rather brilliantly, with damp heath effects and whiffs of coastal roar. 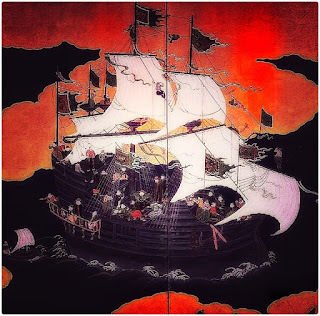 Nanban is a voyage of the mind as well as a hulled galleon; everything is suggested by Rodrigo’s cargo of materials gathered to provide a subliminal portrait of Hasekura Tsunenaga’s odyssey. 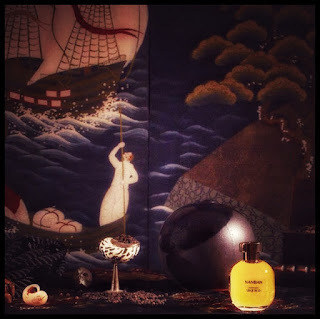 I think any hint of ocean or salt breeze would have seriously interrupted or diminished the concentrated storytelling drive of Arquiste’s resurrected galleon/perfume that floats across the skin evocative with divine consignment. The intermittent aridity of the mix is delicious; Arquiste scents tend to fall into the lush floral and celebratory citric side of olfactive fictions with perhaps the exception of Anima Dulica’s secretive cocoa unfolding and the mournful tundra blast of Aleksandr. And while not actually listed as a note, Nanban has a lovely suggestion of pipe tobacco as it begins to properly drop into the skin, tobacco laced with cherries and bigarade. The drawn out linger of the base notes is intelligent and long. 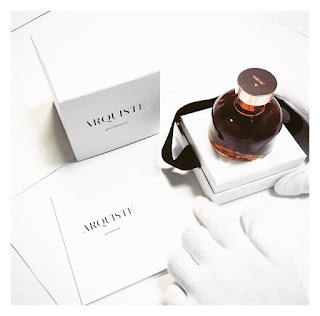 I find something in a lot of modern perfumery, both niche and mainstream that the more profound base effects are often neglected and marginalised in favour of more generic morass of vanillic woods, ouds and anorexic ambers. The recent Dior men’s über-launch Sauvage is a classic example of this. Dior is still trying to repeat the giddy success of the original Dior Homme by Olivier Polge. But the key to that was its alien androgyny; the cocoa and iris dusting that made you feel like Bowie’s man who fell to earth. Sauvage is just another poorly executed attempt to scale the heights of Chanel’s global juggernaut Bleu, which in itself was an attempt to copy Dior Homme. These feeble emasculated boy-scents have poisonously dull drydowns and repetitively tiresome effects that echo so many other cloned aromas. Even in the niche arena there are many tedious and un-inspired re-treads of generic masculine tropes. It is a feature of Nanban and its giddy predecessor Architect’s Club that the detailed attention paid to the gradual melting points of the base notes is particularly high. The substance and sophistication is palpable and Rodrigo’s lavish and velveteen use of styrax beneath the inky tea and coffee heart notes is something I savour each time I wear Nanban. I have a huge obsession with saffron in perfumes and in this carefully gathered journey, the Persian saffron is radiantly creamy and seems to glimmer like gold leaf amid the woods, spices and resins. My nose inhales the effects like actual fibres off my skin. Each time I return to Nanban, the osmanthus note is more noticeable, marrying so elegantly with the coolness of the tea accord, providing momentarily an aromatic pause of clear, high contemplation. 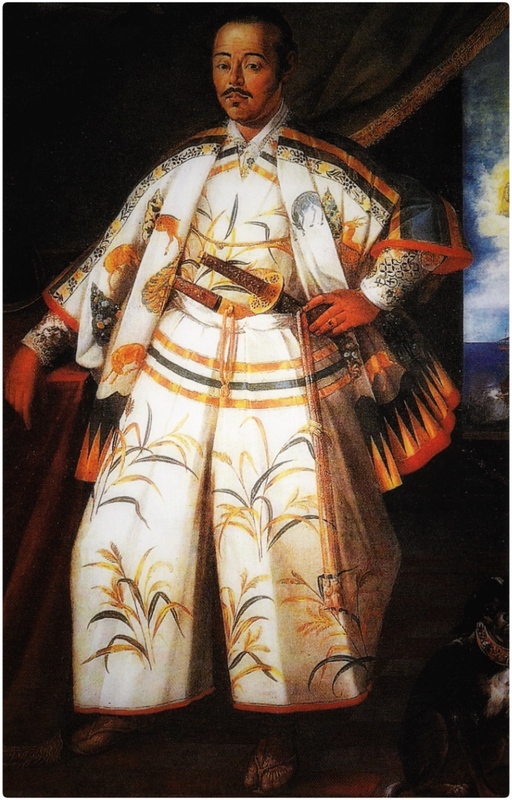 Hasekura Tsunenaga reached Mexico in 1614, where he met with the Mexican Viceroy. The galleon was loaded with vanilla, coffee, spices, vegetables, gold and art. Traveling across the Atlantic to Spain, the intrepid and curious Japanese envoy met with Philip III of Spain and was finally baptised officially into the Christian church in 1615, taking the baptismal name Francisco Felipe Faxicura. This sojourn in Spain was not successful, the growing subjugation and persecution back in Japan of Catholic priests and those caught practising Catholicism meant that the Philip and his ministers did not look favourably on a country attempting to crush his beloved faith. We have to consider the logistics and emotional bravery of this delegation. The journey itself from Japan to Europe via the Americas and then the extended travels through Europe to Italy to greet the Pontiff and spiritual leader of the Catholic church. For the time ands the vessel it was incredible. There is an amazing painting of Hasekura Tsunenaga (see above and below )made in Rome in 1571 by the artist Archita Ricci. The envoy stands proud in his traditional Japanese hakama trousers with a pair of swords tucked into the waist. The painting is very western in execution though, the envoy’s pose, the small dog, symbolising loyalty at his feet. To his right at the back through an open window the Holy Spirit in dove form glows fire over a depiction of the San Juan Bautista. 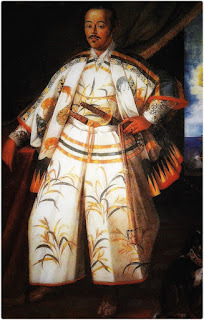 The symbolism and potential shockwaves of their visit and homage in Rome would have been widely felt at home in the seething political arena of the Tokugawa Shogunate. Six newly converted members of the embassy remained in Spain fearful of oppression and retribution if they returned to a turbulent Japan. Indeed, the friar Father Sotelo was re-arrested and burned on his return to Japan and sadly Hasekura’s son, wife and servants were later killed during anti-Christian purges. This overall confabulation of excitement, exploration, trepidation, verve, faith, culture and politics is a fascinating brew and a perfect basis for heady olfaction. Carlos and team Arquiste have excelled themselves. I’m pleased I’m wore this blind as it were for so long, it allowed me to lose myself in the fabric and build of Nanban with out the diversion of notes and effects. Of course this was irritating at times, my natural instincts kept questioning what I was detecting in the drag and shift of accords and blended warp. I kept sensing the darker gourmand dust of coffee and spiced tea in the spaces between the oscillations of wood and spice. Nanban has a glowing, raised majesty and tenacious sensuality on skin. The careful collision of cultures that so fascinated Carlos and that he explained to me in Edinburgh with such passion has been executed with sumptuous brio. It feels heart and soul like an Arquiste scent, polished, built with style, love and skill and yet somehow feels bravely different, like watching someone stepping outside their front door in clothes they would not normally wear yet carrying them off with panache and then some. The storytelling is perfect; real, resonant and emotional. 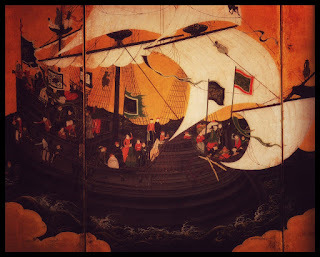 Carlos has found in Hasekura Tsunenaga a powerful aromatic conduit for his perfumed vision and in the looming, roaming simulacrum of Arquiste’s dark hulled Japanese galleon traversing momentous oceans a near perfect symbol of scent. A vessel swollen with rare and exquisite aromas, gathered, tumbled, tainted, stained, ambrosial and singular. Nanban carries you on with it as it travels through its manifold effects and influences. It begins with as flourish of smoky, leathered intent, bold and emotive, shot through with the melancholy tendency of saffron, a note that just always seems to move me. The swell and development of notes is divinely mature, everything in its correct place, tea, coffee and osmanthus sitting just so over a carefully judged yet extravagantly plush base of styrax-coated woods and balms. The cade is the final beautiful thing, a tiny fire lit in that initially detected sacrificial space of darkness to keep the cargo dry on its pungent journey home. What an evocative review. 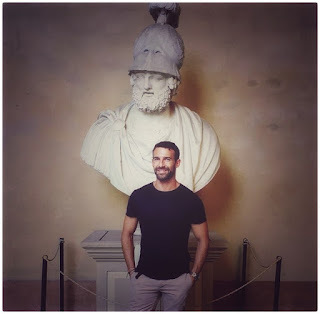 I love when art, history and fragrance all collide - a sincere pleasure to read. The art historian in me was so delighted to see the nanban screens and portraits you included! Next time I go to London, I am going to track Nanban down... saffron and coffee, a must try. Thank you, Alex! Perfumes that tell a story or reflect a particular time in history are of the most interest to me so it was with great anticipation that I ordered a sample of Nanban. It has arrived and I am standing at the rail as the ship plows through endless seas. 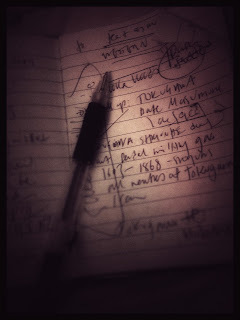 I love Nanban immensely and now having read your luminous essay I know why. Thank you for having written such an intelligent and evocatve review. A stunning review, as majestic as the scent it is meant to convey. Bravo!